Making a property ready for commercial use is an excellent way to get a return on an investment. However the process can be quite time consuming, involving a lot of discussions with banks and potential tenants. This can often dissuade many from exploring opportunities to exploit the commercial value of their property. Here we provide a breakdown of the steps that must be taken for you to make a property available for commercial tenants. Many would-be landlords may be wary of the process of letting out a property, owing to the volume of paperwork involved. We at J Watson & Scott have a dedicated team of expert Property lawyers who will guide you through the process of navigating this area of the law. This is a loan that providers have designed specifically for properties that are to be let out. They are, for the most part, the same as residential mortgages but tend to be more expensive. It is important to understand that you will need to satisfy certain criteria to satisfy Mortgage Providers that you will be able to make the repayments before you will be given the funds. Paying for the purchase from savings etc. is a perfectly viable option. However as most people will not have this kind of money readily available, Buy-To-Let Mortgages tend to be more popular. When you secure financing and purchase the property, the next stage is making the property ready for commercial clients. This may involve you, as Landlord, taking on some initial responsibilities, e.g. fresh painting to the interior of the building, depending on the circumstances. Costings for the transaction - You should agree what aspects of entering into a Lease you and your tenant will cover. For example, legal fees etc. Service Charges - You may consider offering additional services for your tenant e.g. reception or private car parking. It should be made clear who will be responsible for these costs. Insuring the property - It should be made very clear who is responsible for arranging insurance for the property. Arguably most importantly, you should set out what terms will allow for the Landlord-Tenant relationship to be brought to and end. It is also wise to consider including additional costs that your tenant will incur if they wish to terminate the Lease before the allotted time. Making a property available for commercial purposes can appear overly complicated. This area of law is quite technical. However with effective legal advice, the process can be streamlined and made much easier to understand. 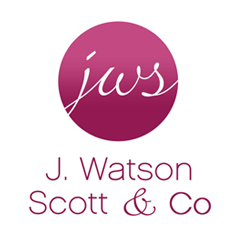 At J Watson Scott & Co Solicitors Hamilton, we are here to help you. Our dedicated team of Property lawyers are skilled negotiators are experienced in drafting the terms of a commercial lease. Our Hamilton office is convenient to Motherwell, Larkhall and areas beyond. If you are considering letting a property out, and have any questions on any stage of the process, please do not hesitate to contact us.